On Defendants Blue Diamond LLC’s and Parkway Gravel, Inc.’s Motion for Judgment on the Pleadings. Marc S. Casarino, Esquire Dana Spring Monzo, Esquire Nicholas Wynn, Esquire White and Williams, LLP Attorneys for Defendants Blue Diamond LLC and Parkway Gravel, Inc. Pending before this Court is Defendants Blue Diamond LLC’s and Parkway Gravel, Inc.’s (“Defendants”) Motion for Judgment on the Pleadings. In their complaint, Plaintiffs allege that minor Thomas Lynam, IV (“Tommy”) was riding his motocross bicycle on Defendants’ motocross track. After riding off a jump, Tommy landed, lost control of his motocross bicycle, and collided with a metal shipping container near the track. Tommy apparently sustained serious injuries. Plaintiffs’ complaint raises one count of “negligence” as a theory for liability.Although not listed as a separate count in their complaint, Plaintiffs allude in their general “negligence” claim to a theory of reckless conduct by Defendants in connection with the operation of the motocross track. In their motion, Defendants assert that their alleged behavior was, as a matter of fact and law, neither negligent nor reckless. Alternatively, Defendants raise an affirmative defense that they are released from any liability for negligent or reckless conduct due to a release agreement (the “Release”) signed by the Plaintiffs. Additionally, Defendants raise the doctrine of assumption of the risk as a separate affirmative defense as a bar to recovery. Plaintiffs agree that they released Defendants from liability for Defendants’ own “negligence.” However, Plaintiffs contend that Defendants’ conduct amounted to recklessness, and that Plaintiffs never released Defendants from liability for their allegedly reckless conduct. In response to Defendants’ claim that Plaintiffs assumed the risk of injury, Plaintiffs contend that the risk of a collision with a metal shipping container was not contemplated at either the signing of the Release or when Tommy began using the facilities. This Court concludes that the Release was not specifically tailored so as to release Defendants from liability for their allegedly reckless conduct. The Court also finds that the factual record is insufficiently developed to make a legal determination of whether Defendants’ conduct as a matter of law amounted to recklessness. Finally, the Court concludes that it is premature at this juncture to consider Defendant’s affirmative defense. Accordingly, the Court denies Defendants’ Motion for Judgment on the Pleadings. On January 6, 2013, Tommy, then thirteen years old, was riding a motocross bicycle at Blue Diamond Motocross near New Castle. Plaintiffs allege that the track was advertised as being composed of “safe jumps.” While riding, Tommy rode off a jump, made a hard landing, and was unable to stop in time before colliding with a large metal shipping container. Prior to granting Tommy admission to the Blue Diamond facilities to ride his motocross bicycle, Blue Diamond required Tommy’s father to sign a release agreement. The Release, entitled “Parental Consent, Release and Waiver of Liability, Assumption of Risk and Indemnity Agreement, ” stated that Plaintiffs understood the “risks and dangers of serious bodily injury” posed by motocross and relieved Defendants from liability for their own negligence. The Release also released Defendants from liability for injuries suffered by Plaintiffs through their own negligence. In their complaint, Plaintiffs allege that Defendants negligently allowed the container to remain on the premises at an unsafe distance from the motocross track. While Plaintiffs do not specifically allege recklessness as a separate claim for recovery, but rather include it in a single count of “Negligence, ” Plaintiffs’ complaint references reckless conduct as another potential theory of recovery.Plaintiffs, however, now agree that their claims of negligence are barred by the Release. But Plaintiffs assert that the Release did not specifically address or contemplate potential claims against Defendants for “reckless” behavior. Defendants contend that the executed Release bars recovery for negligence. At oral argument on this motion, Plaintiffs agreed (Plaintiffs’ filings were not explicit on this point) that the Release bars recovery for injuries resulting from Defendants’ allegedly negligent conduct. Although Plaintiffs are residents of Pennsylvania, the parties agree that Delaware law applies to the present motion, as Defendants are Delaware businesses and the incident giving rise to the case at bar occurred in Delaware. The Delaware Supreme Court held that the release was sufficiently clear and unequivocal, and that it expressly released the defendant from any and all causes of actions relating to the defendant’s own negligence. Defendants rely heavily on this case, asserting that it applies to claims of reckless conduct. 3. I consent to the Minor’s participation in the Event(s) and/or entry into restricted areas and HEREBY ACCEPT AND ASSUME ALL SUCH RISKS, KNOWN AND UNKNOWN, AND ASSUME ALL RESPONSIBILITY FOR THE LOSSES, COSTS, AND/OR DAMAGES FOLLOWING SUCH INJURY, DISABILITY, PARALYSIS OR DEATH, EVEN IF CAUSED, IN WHOLE OR IN PART, BY THE NEGLIGENCE OF THE “RELEASEES” NAMED BELOW. 4. I HEREBY RELEASE, DISCHARGE AND COVENANT NOT TO SUE the . . . track owners, [and] owners and lessees of premises used to conduct the Event(s) . . . all for the purposes herein referred to as “Releasees, ” FROM ALL LIABILITY TO ME, THE MINOR, [and] my and the minor’s personal representatives . . . FOR ANY AND ALL CLAIMS, DEMANDS, LOSSES, OR DAMAGES ON ACCOUNT OF INJRY, including, but not limited to, death or damage to property, CAUSED . . . BY THE NEGLIGENCE OF THE “RELEASEES” OR OTHERWISE. Similar to the language at issue in Ketler, the Release expressly states that the signor assumes responsibility for injuries caused by Defendants’ own negligent conduct. The release also expressly states that the Defendants are released from any and all causes of action that may arise from Defendants’ negligent conduct. Accordingly, this Court agrees with the parties that the Release validly exculpates Defendants from liability for their own negligence. Defendants also rely on Lafate v. New Castle County and Devecchio v. Delaware Enduro Riders, Inc. to support their position that the Release waives claims of reckless conduct. Both Lafate and Devecchio concern agreements that released the tortfeasors from liability for their own negligent conduct. Both cases also discussed whether the language of the releases was sufficiently tailored to release the tortfeasor’s negligent conduct. In Lafate, this Court refused to grant the defendant’s motion for summary judgment on grounds that the release did not clearly and unambiguously release the tortfeasor from claims that it was negligent. In Devecchio, this Court granted the defendant’s motion for summary judgment because the plaintiff signed a valid covenant not to sue for injury resulting from the plaintiffs own negligence. Defendants’ reliance on these cases in light of Plaintiffs’ potential claim of reckless conduct is inapposite. Because the parties have agreed that Defendants are insulated from claims of negligence, the question of whether the release clearly and unambiguously insulates the defendants from liability for their own negligent conduct is moot. Neither the holding in Lafate nor in Devecchio relate to allegations of reckless conduct. Accordingly, because Plaintiffs now assert that Defendant’s conduct was reckless, Lafate and Devecchio are distinguishable from the case at bar. Finally, the Court considers whether, for purposes of this motion, recklessness is subsumed in negligence, and is therefore barred as a form of negligence. Prosser and Keeton on Torts is particularly informative, providing that “such [exculpatory] agreements [that expressly exempt defendants from liability for their negligent conduct] generally are not construed to cover the more extreme forms of negligence, described as willful, wanton, reckless or gross, and to any conduct which constitutes an intentional tort.” Adopting Prosser and Keeton’s interpretation, this Court finds that although the Release does insulate Defendants from liability for negligent conduct, it does not bar claims of “more extreme forms of negligence, ” such as “reckless” conduct. Although Tommy’s father’s execution of the Release precludes recovery from Defendants on a theory of “negligence, ” Plaintiffs assert that the Defendants’ conduct was “reckless.” Plaintiffs did not explicitly allege in a separate count of the complaint that Defendant’s conduct was reckless, but Plaintiffs did make it apparent in the complaint that it was an intended theory of liability. In their briefing and at oral argument, Plaintiffs suggested that Defendants, among other things, had been aware of previous collisions with the shipping container, and that their ignorance of these prior incidents amounts to reckless behavior.Accordingly, the Court must determine whether the Release bars Plaintiffs from asserting claims resulting from injuries caused by Defendants’ reckless conduct. Courts in Delaware have a strong preference for resolving cases on their merits, or at least allowing discovery to proceed such that additional evidence in support of the parties’ contentions can be developed. While this preference is not outcome-determinative, the preference for resolving cases on the merits is a strong factor in determining whether to grant or deny a dispositive motion. Plaintiffs, at oral argument and in their response to the motion, argue that they are entitled to recovery based on Defendants’ allegedly reckless conduct. The parties agree that this theory is separate from the one count of “negligence” listed in the complaint. The operative language of the Release does not explicitly enumerate or contemplate recklessness as a theory of recovery barred by the Release. Under Delaware law, as provided in Ketler, a release must be “clear and unambiguous” in order to effectively release the business owner from liability. This Court finds that the language of the release is not “clear and unambiguous” with respect to Defendants’ liability for their own allegedly reckless conduct. In Ketler, the release at issue specifically used the word “negligence, ” and stated that Defendants “will not be liable for any injury, including, without limitation, personal, bodily, or mental injury . . . resulting from the negligence of [the defendants].” The Delaware Supreme Court held that this language satisfied the “clear and unequivocal” standard and upheld the language of the agreement. Turning to the Release that Plaintiffs executed, this Court finds that the Release is silent as to claims of recklessness. The Release does not mention “reckless” conduct, and instead only expressly refers to injury caused by Defendants’ “negligence.” In the absence of such language, the Release does not clearly and unambiguously exculpate Defendants from liability for their own reckless conduct. Accordingly, the Release does not operate to bar Plaintiffs’ claim of recklessness. Finally, Defendants’ contend that Plaintiffs assumed the risk of injury from Defendants’ alleged reckless conduct. However, the record has not been sufficiently developed to determine whether Defendants’ conduct was reckless or whether Plaintiffs assumed the risk of injury from Defendants’ allegedly reckless conduct. Accordingly, the Court does not reach this contention at this stage of the litigation. Defendant’s Motion for Judgment on the Pleadings is DENIED. The Court has enclosed an Order establishing a Scheduling Conference in this case. Defendant Houghton’s Amusement Park, LLC did not make an appearance in this case and had a default judgment taken against it on June 21, 2016. Defs.’ Mot. for J. on the Pleadings, Ex. A.
Defs.’ Mot. for J. on the Pleadings, Ex. A. Tommy also signed an agreement, titled “Minor’s Assumption of the Risk Acknowledgment, ” that Defendants reference in their motion as another reason they are not liable for Plaintiffs’ injuries. However, it appears from the motion and subsequent filings that the release signed by Tommy is only mentioned in passing, and is not relied upon by Defendants. The release signed by Tommy’s father is the determinative release in the case at bar. Compl. ¶¶ 49, 51, 77, 87. Specifically, the Complaint alleges that “Defendants’ failure to exercise reasonable care as alleged above comprised outrageous conduct under the circumstances, manifesting a wanton and reckless disregard of the rights of the Plaintiffs.” Compl. ¶ 87. The Complaint also alleges that Tommy’s injuries were caused by the “reckless indifference” of Defendants. Compl. ¶¶ 51, 77. Moreover, the Complaint alleges that the track was “reckless[ly] design[ed].” Compl. ¶ 49. At oral argument, Plaintiffs’ counsel answered in the affirmative when the Court asked “Am I understanding Plaintiffs’ position correctly when I read the papers to say that Plaintiffs are not alleging ordinary negligence, but rather recklessness?” Lynam et al. v. Blue Diamond LLC Motocross et al, C.A. No. N14C-11-121 RRC, at 6 (Del. Super. July 6, 2016) (TRANSCRIPT) [hereinafter Oral Arg. Tr.]. A judgment on the pleadings is based only upon a review of Plaintiffs’ complaint and Defendants’ answer. However, under Rule 12(c), “If, on a motion for judgment on the pleadings, matters outside the pleadings are presented to and not excluded by the Court, the motion shall be treated as one for summary judgment.” Super. Ct. Civ. R. 12(c). In the case at bar, Defendants introduced the two executed releases as exhibits to their motion. However, the releases were not a part of the pleadings. Nevertheless, the parties agree that this motion should be treated as a motion for judgment on the pleadings. Silver Lake Office Plaza, LLC v. Lanard & Axilbund, Inc., 2014 WL 595378, at *6 (Del. Super. Jan. 17, 2014) (quoting Blanco v. AMVAC Chem. Corp., 2012 WL 3194412, at *6 (Del. Super. Aug. 8, 2012)). Id. (quoting Velocity Exp., Inc. v. Office Depot, Inc., 2009 WL 406807, at *3 (Del. Super. Feb. 4, 2009). Id. (internal quotation marks omitted). See Oral Arg. Tr. at 6. Ketler v. PFPA, LLC, 132 A.3d 746 (Del. 2016) (upholding “hold harmless” agreements and releases that relieve a proprietor from liability for its own negligent activities). Riverbend Cmty., LLC v. Green Stone Eng’g, LLC, 55 A.3d 330, 336 (Del. 2012) (internal quotation marks omitted) (quoting State v. Interstate Amiesite Corp., 297 A.2d 41, 44 (Del. 1972)). Ketler, 132 A.3d at 747. Oral Arg. Tr. at 14-16. Defs.’ Mot. for J. on the Pleadings, Ex. A (emphasis added). 1999 WL 1241074 (Del. Super. Oct. 22, 1999). 2004 Del. Super. LEXIS 444 (Del. Super. Nov. 30, 2004). The plaintiff in Lafate was injured by a metal bar used to divide a basketball court. This Court found that while the agreement did “speak of ‘any and all injuries which may be suffered by [players] during [their] participation, ‘” the absence of the word “negligence” insufficiently insulated the defendants from liability for their own negligent conduct. Lafate, 1999 WL 1241074, at *4. In Devecchio, the defendant owned a motorcycle race track that required riders to sign agreements releasing the defendant from liability for injuries resulting from both the riders and the defendant’s negligence. The release pertaining to the defendant’s negligence expressly used the word “negligence.” This Court found that the release using the word “negligence” was sufficiently clear and unambiguous, and therefore insulated the defendant from liability for its own negligent conduct. Devecchio v. Enduro Riders, Inc., 2004 Del. Super. LEXIS 444 (Del. Super. Nov. 30, 2004). W. Page Keeton, et al., Prosser and Keeton on Torts, § 68 at 483-84 (5th ed. 1984)). Delaware courts often rely on Prosser and Keeton on Torts in reaching their conclusions. See, e.g., Culver v. Bennett, 588 A.2d 1094, 1097 (Del. 1991); Lafate v. New Castle County, 1999 WL 1241074 (Del. Super. Oct. 22, 1999); Brzoska v. Olson, 668 A.2d 1355, 1360 (Del. 1995). This case involves claims of negligence. Negligence is the lack of ordinary care; that is, the absence of the kind of care a reasonably prudent and careful person would exercise in similar circumstances. That standard is your guide. If a person’s conduct in a given circumstance doesn’t measure up to the conduct of an ordinarily prudent and careful person, then that person was negligent. On the other hand, if the person’s conduct does measure up to the conduct of a reasonably prudent and careful person, the person wasn’t negligent. Reckless conduct reflects a knowing disregard of a substantial and unjustifiable risk. It amounts to an “I don’t care” attitude. Recklessness occurs when a person, with no intent to cause harm, performs an act so unreasonable and so dangerous that he or she knows, or should know, that harm will probably result. Del. Super. P.J.I. Civ. § 5.9 (2003), http://courts.delaware.gov/forms/download.aspx?id=85928. It is apparent from a comparison of the two different jury instructions that negligence conduct requires a departure from the ordinary standard of care exhibited by the reasonably prudent person, an objective standard. However, in contrast, it appears from the pattern jury instructions that reckless conduct requires a subjective “I don’t care” attitude that evidences an even greater departure from the ordinary standard of care, amounting to an unreasonable conscious disregard of a known risk. Compl. ¶¶ 49, 51, 77, 87. For example, Plaintiffs allege that “The reckless design of the track, which was intentionally constructed next to the pre-existing intermodal container, requires riders to land from a jump and immediately decelerate in order to execute a 90° right turn.” Compl. ¶ 49. Moreover, Plaintiffs allege that Tommy’s injuries were “a direct and proximate result of the negligence, carelessness and reckless indifference of Defendants.” Compl. ¶ 77. Pl.’s Suppl. Resp. in Opp’n to the Mot. for J. on the Pleadings, at 2. Keener v. Isken, 58 A.3d 407, 409 (Del. 2013); see also Wallace v. Wood, 2007 WL 3331530 (Del. Ch. Oct. 31, 2007); DeSantis v. Chilkotowsky, 2004 WL 2914314, at *2 (Del. Super. Nov. 18, 2004), Sup. Ct. Civ. R. 56. Plaintiffs did not plead any explicit claim of recklessness. See, e.g., J.L. v. Barnes, 33 A.3d 902, 916 n.77 (De. 2011) (treating recklessness and gross negligence as interchangeable and noting, “In order for a plaintiff to plead gross negligence with the requisite particularity, the plaintiff must articulate ‘facts that suggest a wide disparity between the process  used . . . and that which would have been rational. '” J.L. states that a complaint pleading ten pages of facts to support a claim of gross negligence or recklessness was sufficient to meet the pleading standard). Defendants argue that Plaintiffs have not properly pleaded reckless conduct under Superior Court Civil Rule 9(b). However, the Court need not reach that issue since it will give Plaintiffs the opportunity to amend their complaint. Because the Court finds that Defendants’ release does not explicitly bar claims of “reckless” conduct, this Court does not reach the question of whether such a release is potentially permissible under Delaware law. However, this Court notes that other jurisdictions have differing perspectives on whether exculpatory agreements barring claims for recklessness, gross negligence, willful acts, or strict liability are enforceable. See Randy J. Sutton, Annotation, Validity, Construction, and Effect of Agreement Exempting Operator of Amusement Facility from Liability for Personal Injury or Death of Patron, 54 A.L.R.5th 513 (1997). For example, in Barker v. Colo. Region-Sports Car Club of Am., the Colorado Court of Appeals held that exculpatory agreements can release a party only for simple negligence, and not from willful and wanton negligence. 532 P.2d 372, 377 (Colo.App. 1974). Similarly, in Wheelock v. Sport Kites, Inc., the United States District Court for the District of Hawaii held that a release was invalid with respect to claims of gross negligence and strict liability. 839 F.Supp. 730, 736 (D. Haw. 1993). The above annotation suggests that a common reason to not enforce such an agreement is because they are void against the state’s public policy. Generally, in the absence of an applicable safety statute, a plaintiff who expressly and, under the circumstances, clearly agrees to accept a risk of harm arising from the defendant’s negligent or reckless conduct may not recover for such harm, unless the agreement is contrary to public policy. When such an express agreement is freely and fairly made, between two parties who are in equal bargaining position, and there is no public interest with which the agreement interferes, it will generally be upheld. 412 S.E.2d 504, 508-09 (W.Va. 1991). Delaware Courts have previously allowed such an amendment to be made. As this Court held in Guy v. Phillips, a party may amend a complaint following additional discovery when the amended count arises out of the same factual basis for the original complaint. 1997 WL 524124 (Del. Super. July 2, 1997). In support of this defense, the Court notes that Defendants rely solely on Deuley v. DynCorp Int’l, Inc., 2010 WL 704895 (Del. Super. Feb. 26, 2010). However, Deuley is distinguishable from the case at bar. In Deuley, surviving relatives of decedents killed by an improvised explosive device (“IED”) in Afghanistan filed a wrongful death action. As part of the employment agreement, the decedents signed an agreement that provided employees expressly assumed the risk of injury or death. In reaching its conclusion that the decedents assumed the risk of death, the Court found that “when [the decedents] signed the releases, even a poorly informed American had to have appreciated that working in Afghanistan involved the general risk of insurgent or terrorist attacking by an IED.” Deuley, 2010 WL 704895, at *4. “The complaint offers no reason to find that any plaintiff here was probably unaware of the general risk of being injured or killed by a bomb.” Id. In the case at bar, drawing inferences in the light most favorable to the Plaintiffs, it is unlikely that Plaintiffs were aware of the risk posed by the shipping container, since they allege that they were unable to inspect the track prior to Tommy using it. Accordingly, Defendants’ reliance on Deuley is inapposite since it could be determined that a collision with the metal shipping container was not contemplated by the Plaintiffs when they signed the Release. Denver based James H. Moss, JD, an attorney who specializes in the legal issues of outdoor recreation and adventure travel companies, guides, outfitters, and manufacturers, has written a comprehensive legal guidebook titled, “Outdoor Recreation Insurance, Risk Management, and Law”. Sagamore Publishing, a well-known Illinois-based educational publisher, distributes the book. 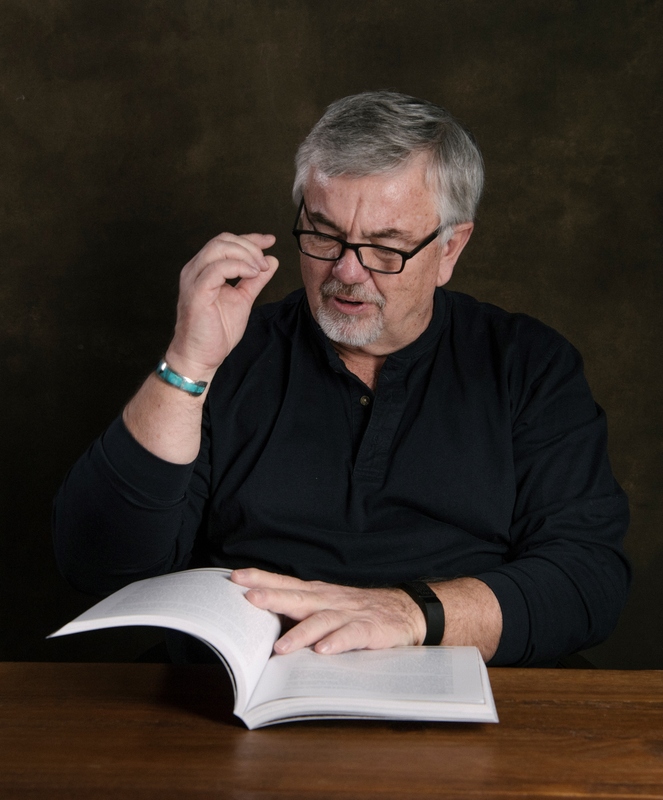 Mr. Moss, who applied his 30 years of experience with the legal, insurance, and risk management issues of the outdoor industry, wrote the book in order to fill a void. The Reference book is sold via the Summit Magic Publishing, LLC. While written as a college-level textbook, the guide also serves as a legal primer for executives, managers, and business owners in the field of outdoor recreation. It discusses how to tackle, prevent, and overcome legal issues in all areas of the industry. The book is organized into 14 chapters that are easily accessed as standalone topics, or read through comprehensively. Specific topics include rental programs, statues that affect outdoor recreation, skiing and ski areas, and defenses to claims. Mr. Moss also incorporated listings of legal definitions, cases, and statutes, making the book easy for laypeople to understand. How Do You Deal with Risk? How Does Acceptance of Risk Convert to Litigation? How Do You Handle A Victim? Assumption of Risk as a Defense. What Is A Risk Management Plan? The 427-page volume is sold via Summit Magic Publishing, LLC. Can’t Sleep? Guest was injured, and you don’t know what to do? This book can answer those questions for you. An injured guest is everyone’s business owner’s nightmare. What happened, how do you make sure it does not happen again, what can you do to help the guest, can you help the guests are just some of the questions that might be keeping you up at night. This book can help you understand why people sue and how you can and should deal with injured, angry or upset guests of your business. This book is designed to help you rest easy about what you need to do and how to do it. More importantly, this book will make sure you keep your business afloat and moving forward. You did not get into the outdoor recreation business to worry or spend nights staying awake. Get prepared and learn how and why so you can sleep and quit worrying. What is a Risk Management Plan and What do You Need in Yours? Everyone has told you, you need a risk management plan. A plan to follow if you have a crisis. You‘ve seen several and they look burdensome and difficult to write. Need help writing a risk management plan? Need to know what should be in your risk management plan? Need Help? This book can help you understand and write your plan. This book is designed to help you rest easy about what you need to do and how to do it. More importantly, this book will make sure you plan is a workable plan, not one that will create liability for you. Need a Handy Reference Guide to Understand your Insurance Policy? 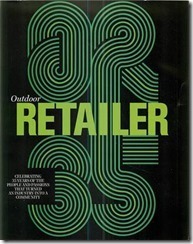 This book should be on every outfitter and guide’s desk. It will answer your questions, help you sleep at night, help you answer your guests’ questions and allow you to run your business with less worry. The one group of people who never sign a release and to whom you have no defenses are spectators. Here a spectator was injured during a bicycle race. In this case, the plaintiff attempted to bring in USA Cycling, Inc. Spectators are always at risk, and defendants have little they can do to keep from getting sued except fencing in most cases. Plaintiff Cyclists riding inside the race course was injured when a racer struck him. The plaintiff sued the club that put on the event and USA Cycling, Inc. that sanctioned the event. USA Cycling moved for summary judgment arguing it owed no duty to the plaintiff because it had no control over and did not do anything other than sanction the race. In the underlying matter, the plaintiff seeks to recover for personal injuries allegedly sustained while cycling in Prospect Park, Brooklyn, New York on June 14, 2014. At the same time the plaintiff was cycling as a recreational activity, a cycling event was taking place in the same area of Prospect Park. The plaintiff was cycling the same route as those participating in the event when he collided with another cyclist who was a participant in the bike race. As a result of injuries sustained by the plaintiff, which included a fractured and displaced clavicle that required surgical intervention…. Analysis: making sense of the law based on these facts. The defendant USA Cycling was brought into the case to possibly add money to the pot that might be available to the defendant. USA Cycling argued that because they did not own, control or have anything to do with the race other than to sponsor the race for a fee, they could not be held liable for anything that happened. At issue in this matter, is whether defendant USA Cycling owed a duty to the plaintiff and by virtue thereof is liable to the plaintiff for the injuries sustained during the bike tour. … USA Cycling did not coordinate the Prospect Park event; did not control or employ any of the people organizing or managing or working the race; did not select the location of the race nor supervise the race. They did not have any employees or representatives at the race. In addition, they are not the parent company of Kissena Cycling Club nor is Kissena Cycling Club a subsidiary of USA Cycling. Mr. Sowl testified at his deposition that while USA Cycling sanctions events in the United States they do not run cycling events. Mr. Sowl stated that while there are benefits to a third party such as Kissena Cycling Club for having an event sanctioned by USA Cycling which includes that a cyclist participating in the event can use the results for upgrading their national results and rankings and the third-party event organizers can independently obtain liability insurance for their event through USA Cycling, he nevertheless maintained that they have no involvement in the operation of the race or the design of the course. So, the issue is, did USA Cycling’s involvement in the race rise to the level that it owed a duty to the plaintiff. The plaintiff argued the involvement was much more than just providing insurance for the race. They [USA Cycling] collect some fees to compensate for sanctioning the event and provide insurance for the event. The plaintiff maintains that the defendant did more than just sanction the race as they issued safety guidelines, rule books, post event forms, permits, an event checklist and insurance information to the Kissena Cycling Club, and even received a copy of the incident report. The court found the actions of USA Cycling did not rise to the level to create a duty to the plaintiff. USA Cycling is the national governing body for cycling in the United States. They oversee the discipline of road, mountain bike, Cyc-cross, BMS and track cycling. Mr. Sowl testified that except for a few national championships, they do not actually run events. While they sanction events, the events are generally owned and operated by a third party (such as the Kissena Cycling Club). In sanctioning the race at Prospect Park, USA Cycling recognized the event as an official event and the results when considering national rankings. However, while they sanction events they do not sponsor them. The chief referee at the event is an independent contractor who works for the event organizer and not USA Cycling. Mr. Sowl further testified that USA Cycling does not share in any portion of the fees that are generated by the local events. The court found USA Cycling had no control over the race. This lack of control could not create a duty to the plaintiff. This Court finds that the plaintiff has not established a prima facie case that the defendant USA Cycling had a duty to the plaintiff, and not having a duty was not negligent, and thus, not liable to the plaintiff. This Court finds that USA Cycling was not responsible for the layout and design of the race course, and all of the safety precautions that were in place on the day of the race were supervised by the employees and volunteers of Kissena Cycling Club. USA Cycling had no involvement in the positioning of the plaintiff, who was a recreational cyclist, and the riders in the race. The fact that USA Cycling sanctioned the race, provided safety guidelines on its website and assisted the local race organizers in obtaining insurance does not result in a finding that they are liable for an incident that occurred in a local race that is fully operated and managed by a local racing club. Spectators are necessary to any event. They “pay” for the event by either just being there so advertisers can sell to them or paying to enter the facility. Although the facts in this case are slightly different, other cyclists riding, the issues are still the same. Spectators are not a group of people that the event sponsors, owners; officials can create protection from litigation. If a spectator gets hurt, there is little available to stop their claims. Here the news was that USA Cycling had so little involvement in the race, they were able to successfully argue they owed no duty to the plaintiff. This argument is similar in all states; however, the definition of duty in each state and the type of involvement could make this difficult in some jurisdictions.